There are times in life that you come across something that makes you take pause and hug your family closer. One of the blogs that I love to read and is linked on the Diabetes Blogs I LOVE at the top of my pages is called "Our Diabetic Life". Meri is the author of this blog and I love her humorous take on life and Diabetes. Meri is a woman of strength. 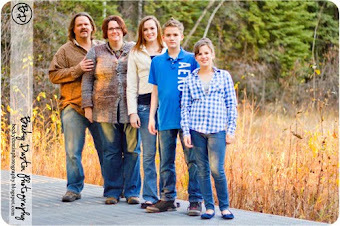 She and her husband Ryan have 4 beautiful boys and 3 of their boys ...3... have Type 1 Diabetes. I.can't.even.imagine. Meri shares the nitty gritty of it on her blog, the disappointments and the accomplishments and I connect with the emotions she shares about their D life. I encourage you to click on that word, it will take you to her post. Her words are heartfelt and powerful and I found myself at my desk with tears running down my face. Heartbroken at what this family is now facing...on top of what they already face on a daily basis. This Sunday, they are asking for a miracle. They are asking for those that would like to do so to pray for their family. They too will be fasting and praying for a miracle. 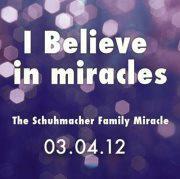 A Facebook page for the Schumacher Family has been created that will be updated with progress.